When people are shopping for clothing to either wear in rough weather or for gardening they rarely consider organic hemp gloves. There are several reasons why they should start. Hemp is strong, so the gloves tend to last even through rigorous weed pulling or other strenuous activities. In fact, hemp is considered the strongest natural fiber in the world. It beats cotton more than two to one. Hemp is soft and comfortable and doesn't have the itchiness factor of wool or ramie. Hemp is not pliable, meaning it won't get bent out of shape even with frequent washings or if it gets wet and is left to dry in the sun. Hemp is porous. This helps to make it cool in the summer and warm in the winter, which is a perfect attribute for gloves. Hemp is trendy. The green movement is big right now, which makes it the ideal time to purchase gloves made from a renewable - and vegan - resource. Hemp gloves are made out of the plant cannabis sativa L, which is of the same species as the plant used to make the illegal drug marijuana. This fact alone makes it illegal to grow it in the United States, although imports of hemp products, including yarn and fabric, are allowed. Hemp stalks are harvested and baled, much like hay. The longer fibers are collected for use in textiles, while the shorter ones are separated out to be used for paper and other industries. The long fibers are washed, combed and spun into rope. This rope is, in turn, woven into gloves and hundreds of other items, ranging from hats to tennis shoes. A person can even make his or her own hemp gloves by purchasing rope and then knitting or crocheting them. Not all hemp is organic though, so it is a good idea to check with the manufacturer before purchase. 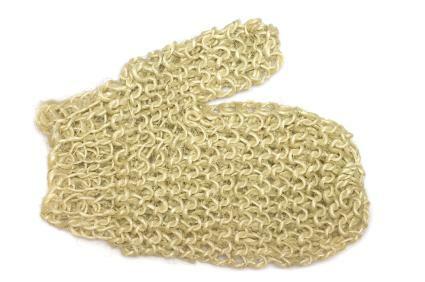 It is not hard to find organic hemp gloves, especially on the Internet. There are dozens of merchants that sell them in an equally numerous amount of sizes and styles. A good place to look for hemp gloves is at environmentally focused concerts or fairs. Often vendors sell items like this and they may cost significantly less than they would in a store or online. Also, since the people that made the gloves are often present, it's easier to ask questions about where the rope used originated. In addition to pure hemp gloves, there are gloves available that are a blend of hemp and another fabric. For example, hemp is often knit together with wool or cotton or the gloves are lined with fleece. Although this makes the gloves softer it may be more for aesthetic reasons. Those who wish to make their own gloves, either to save money or to better suit their taste, may want to check out the pattern available at Yarn Demon. Note that it does require some intermediate knitting knowledge and probably several hours of time.